Fall is here and I’m so happy about it, BUT I live in California so we really don’t see much change in the weather lol (well… so far…). 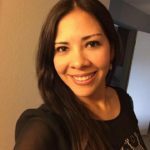 Today’s weather will be a max of 91 F …. hopefully it cools down next week. I’ve been shopping different pumpkin products, I will make a post about it so you know what I got. 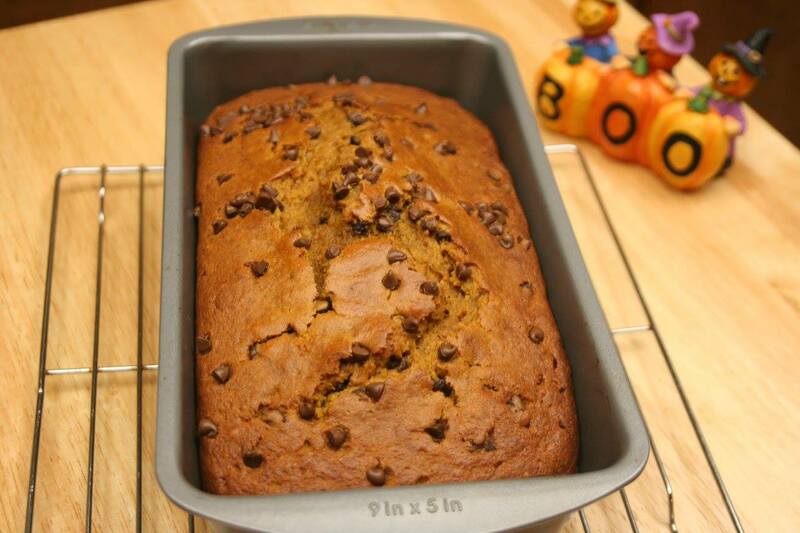 I called this recipe : Pumpkin Bread # 1 because I will be making more than one pumpkin bread recipe this season. So far, this recipe gives you a soft and moist bread. Please, always remember to wait for the bread to cool completely off before cutting it. 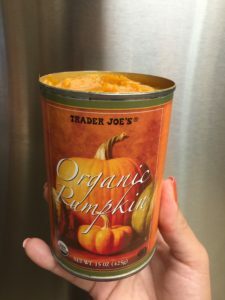 The best pumpkin puree in a can that I prefer to use is the one from Trader Joe’s. It’s organic and for some reason it tastes better than other brands. Thi is JMO. 2.- You don’t need a mixer for this recipe. 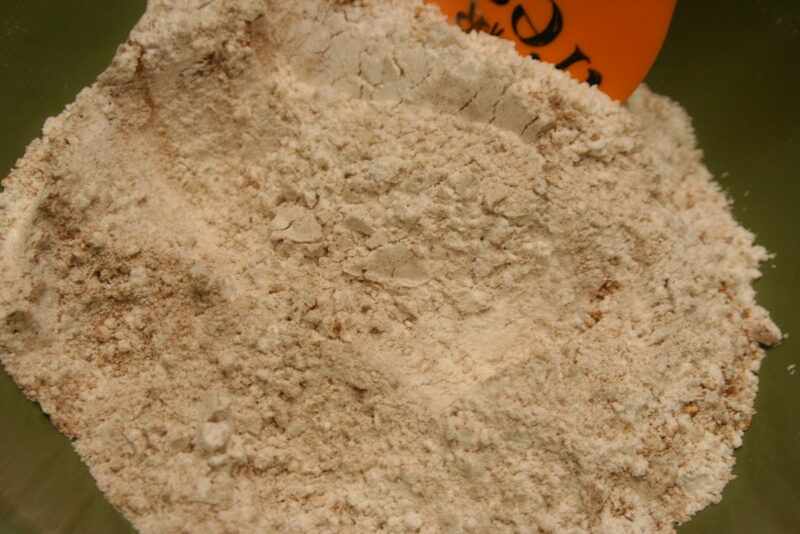 In a large bowl mix all the dry ingredients: flour, baking soda, nutmeg, cloves, cinnamon and salt. 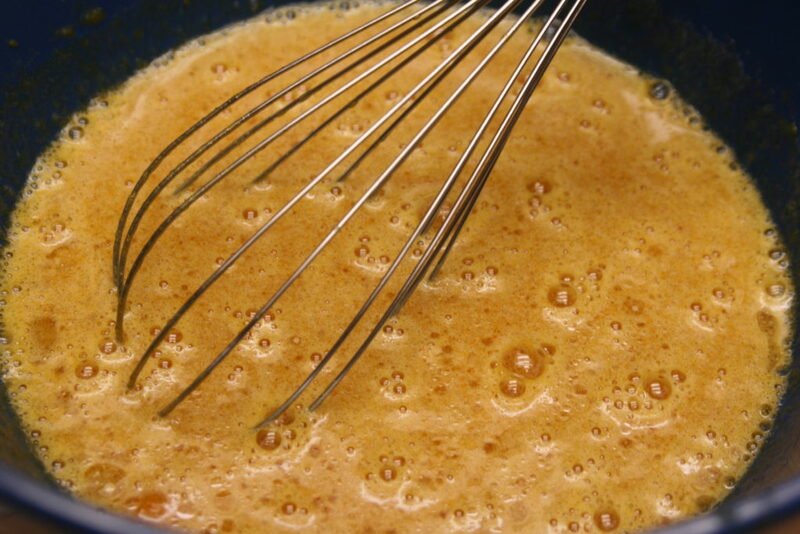 3.- In a medium bowl whisk the eggs with the granulated and brown sugar. Add the pumpkin puree, oil and orange juice. Mix well. 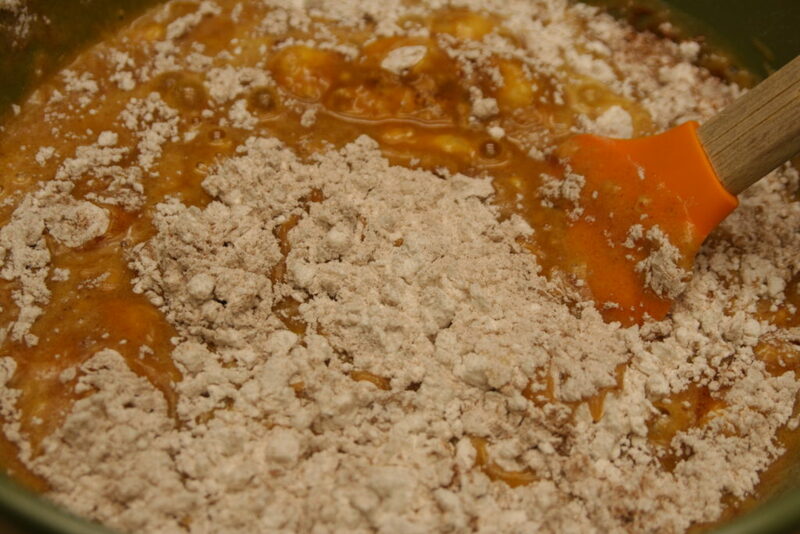 4.- Pour the wet ingredients into the dry ingredients and gently mix with a spatula. Add the chocolate chips. Mix . You might see a few lumps, so do not overmix. 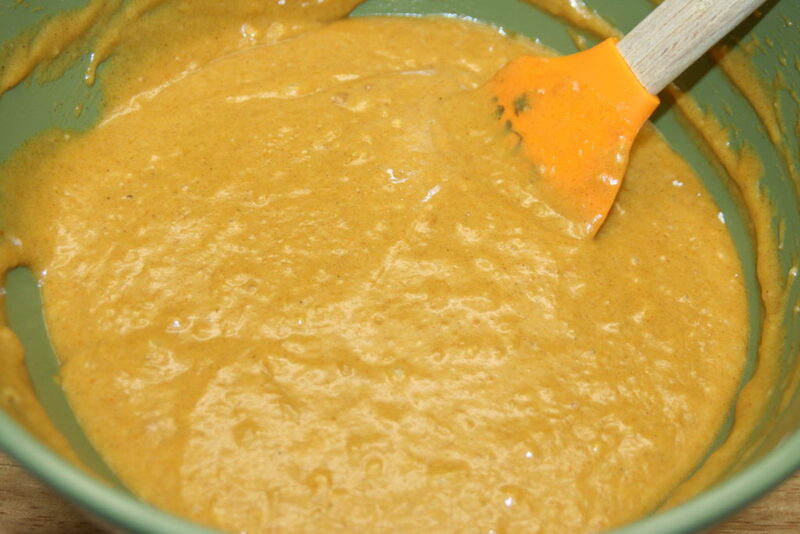 5.- Pour the batter into the prepared loaf pan. 8.- Let it cool completely and then cut. I made this bread again and I added walnuts and chocolate chunks. It turned out pretty good! I bought the chocolate chunks at Trader Joe’s. 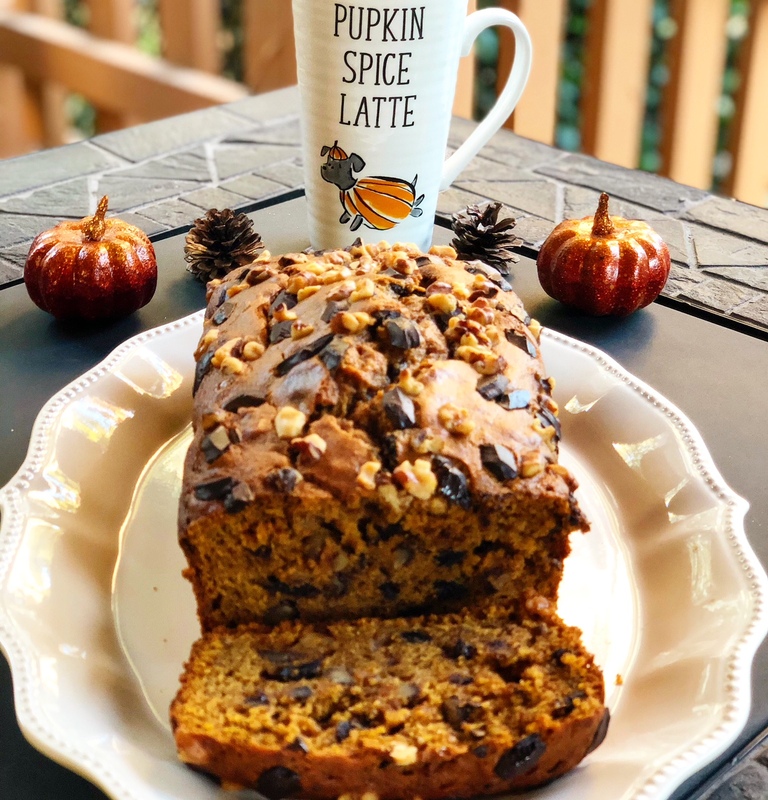 This entry was posted in Recipes and tagged baking, blogger, bread, chocolate chips, fall, halloween, pumpkin, pumpkin bread, pumpkin spice.